Project Birmingham is seeking to reinvigorate the city’s cultural consciousness. 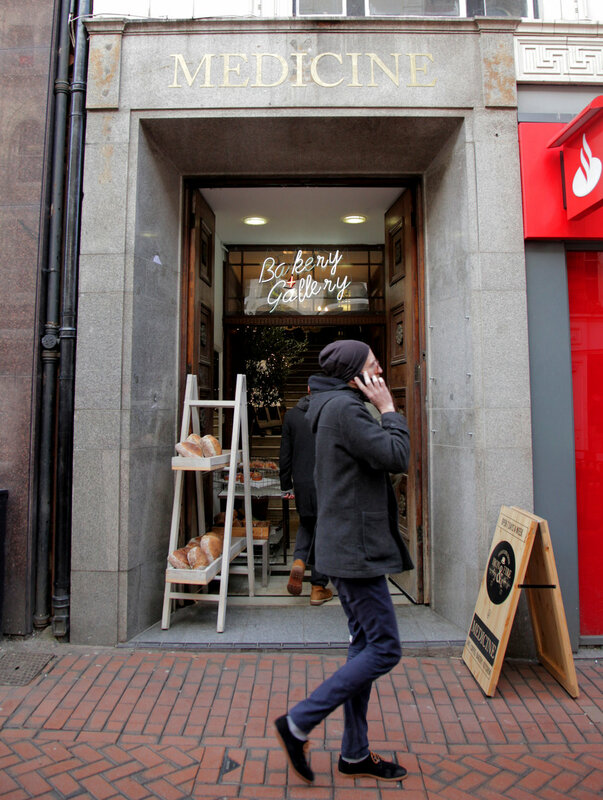 As you step from the bustle of New Street and climb the wooden stairs through to the Medicine Bakery, continue on to the gallery space inside and enjoy a spectacular exhibition free of charge; a feat made possible by Project Birmingham. Eight pieces from emerging local artists pack the gallery space, breathing new life into the former Royal Society of Birmingham Artists. The combination of mediums and styles on display serve to reflect the vibrant and varied nature of life within the second city; as photography shares space with poetry, illustration faces film, and painted doors fill the area in between. In addition, you are invited to contribute your own interpretation of the city. There is the opportunity to share your favourite spots, eateries, retailers and music that represent Birmingham to the all-encompassing you. As a result, a ‘sense of place’ is created by the local public, as well as the artists. There is also the chance to support local artists and businesses; the gift shop is full of products created by local artists, such as t-shirts and postcards, alongside locally brewed beer. The exhibition is immediate. Your eyes are drawn to the 160-year-old industrial cell door that once resided in Winson Green Prison, placed at the centre of the room and surrounded by quotes from a former guard, hanging from a canopy of wire. As you venture through the room, navigating past the individually painted wooden doors, it becomes evident that the cohesion of the exhibition mirrors the cohesion of the city itself. Past and present are thrust together; decades-old photography is displayed next to contemporary images and illustrations of the city, the cell door from the 19th Century is enhanced by the presence of the wooden doors, each painted with separate interpretations of what modern day Birmingham is like to live in. 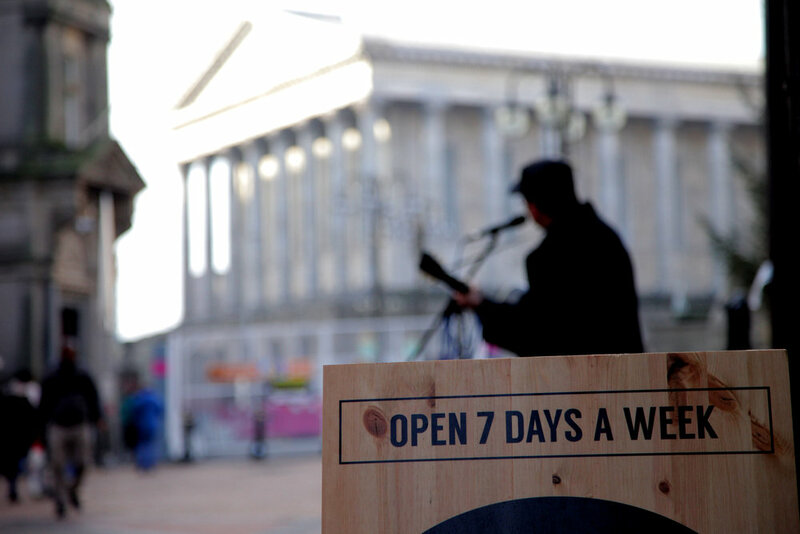 The history of the city is utilised to celebrate life within Birmingham. Birmingham’s rich artistic and cultural heritage is also commemorated. An investigation into the prominent Birmingham Surrealist Group lines the wall alongside a film exploring the historical and contemporary understandings of the hijab. You are encouraged to take your time with these works, as each provides an interesting and unique viewpoint on the history of the city. Both pieces represent the varied communities and experiences that influence the creativity that is on display within the walls of the gallery. Regardless of how diverse the art is, each piece presents an understanding of the city that serves to unify the exhibition and showcase the promising talents that Birmingham has to offer.